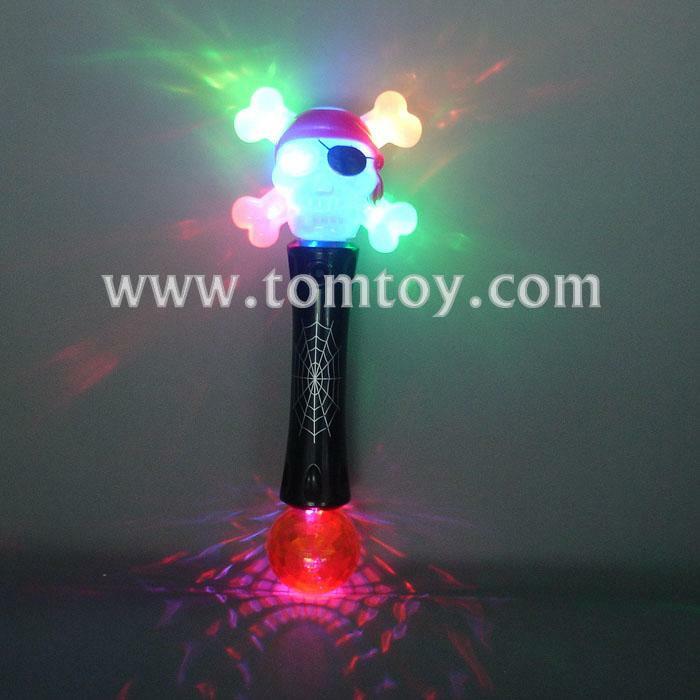 1.LED Crystal Ball Pirate Wand is fun and great for Halloween parties, celebrations and costumes! 2.Accessorize your look with this 10 inch wand, which includes 3 lighting functions: fast blinking, slow blinking, and color morphing! 3.The wand also features multicolored LEDs with a crystal, disco ball at the end, measuring 2 inch in diameter. 4 . 3pcs AAA batteries included and installed.